1. 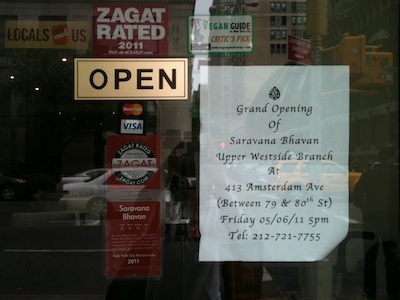 My favourite dosa place in Manhattan, Saravana Bhavan, has a new uptown offshoot. Located on 413 Amsterdam Avenue, between 79th and 80th Streets, it opened its doors on May 6. I haven’t tried it out yet, but I hope the service is better than its Curry Hill cousin. 2. When I was googling myself (come on—you don’t?) today I came across this fantastic article in MacroScan by Jayati Ghosh, a JNU professor in economics, whose byline I have been reading for some years now. “India: The Growth Discrimination Nexus” analyzes the conditions under which the capitalist economy in India has led to growth—and why it continues to fail the majority of the population. Capitalism in India, especially in its most recent globally integrated variant, has used past and current modes of social discrimination and exclusion to its own benefit, to facilitate the extraction of surplus and ensure greater flexibility and bargaining to employers when dealing with workers. So social categories are not ”independent” of the accumulation process—rather, they allow for more surplus extraction, because they reinforce low employment generating (and therefore persistently low wage) tendencies of growth. 3. 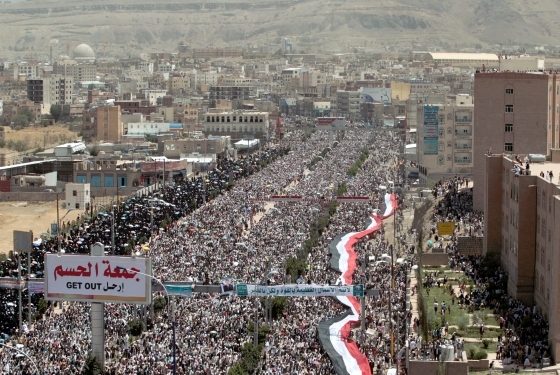 “We are steadfast, you leader of the corrupt,” chanted the river of people protesting in Yemen. Courtesy New York magazine. 4. Here’s a delightful photo blog I found, which chronicles Nichole’s “stories of color in the city of light,” a.k.a. Paris. The talented Nichole is giving away a free collection of nine 8×10 photographs, organized by color. On Monday, the 16th of May, she will announce the winner on her blog. All you have to do is to the comments section and, in one word, summarize what your favorite collection brings to mind. I was so greedy for this giveaway that I participated (green: peppermint was my answer) but I’m sure you can do better. Who doesn’t want Paris in their living rooms? Here are my four on Friday. What are yours? Feel free to tell me in the comments section.